Quick… what’s the national sport of Mexico? If you think it’s futbol (soccer), think again. 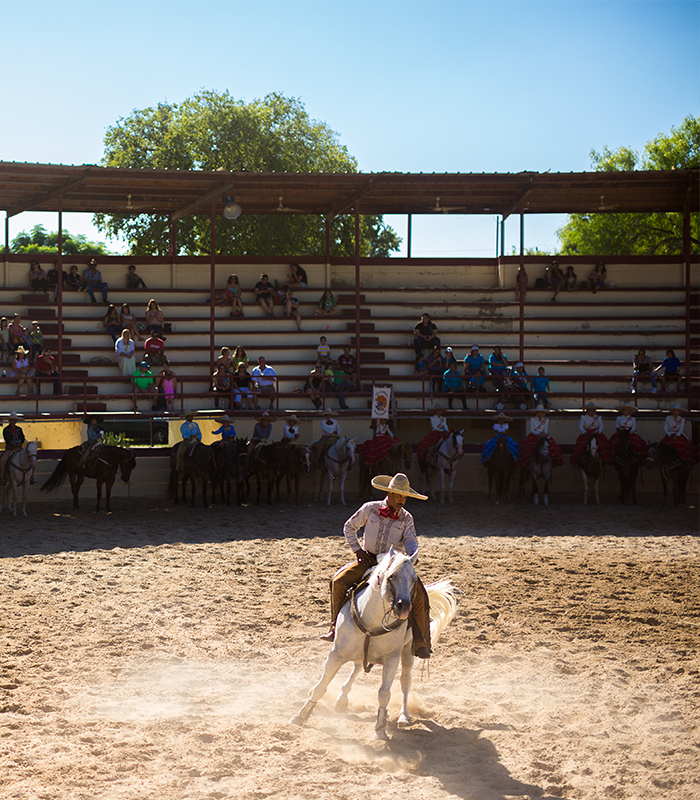 It’s charrería, the Mexican (and original) rodeo. 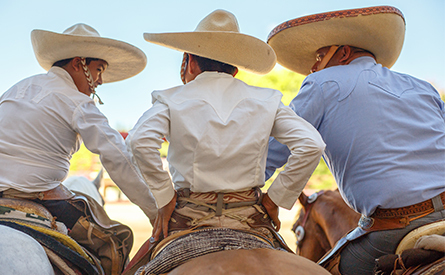 Here in San Antonio, this tradition has plenty of horsepower, thanks to The Asociación de Charros de San Antonio, which holds two spectacular exhibition charreadas during Fiesta. 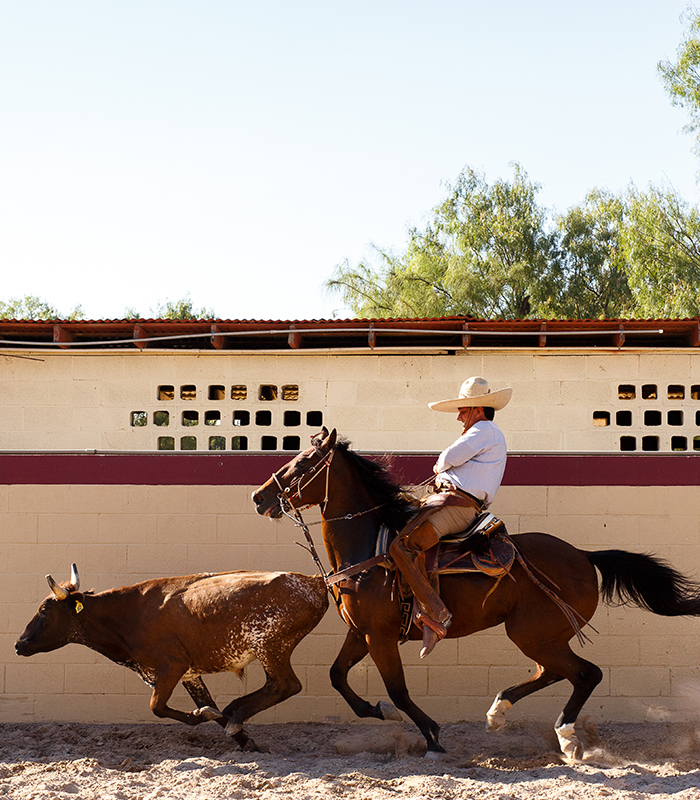 These relatively small, somewhat out-of-the-way rodeos have been held since the Asociación was founded in 1947 (the first in the U.S.) to preserve the traditional skills used to work cattle and horses on the big ranchos in Northern Mexico. 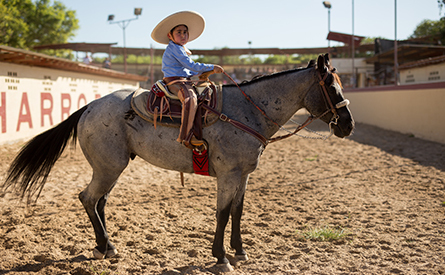 The cultural vitality is strong — experienced charros and charras are passing on history, horse sense, and passion for the sport to the young ones. It’s not unusual to see a self-assured 5-year-old putting a 1,000-lb horse through its paces. 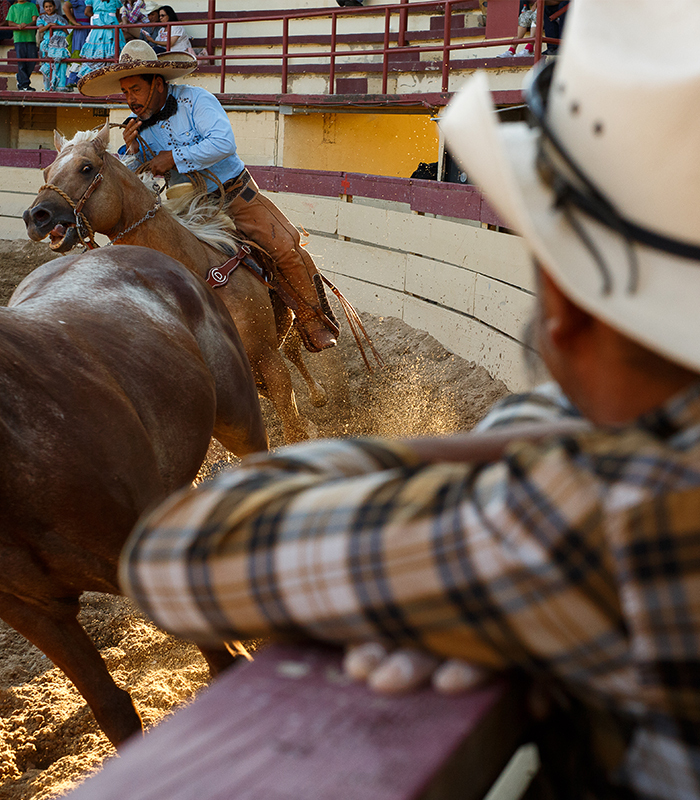 San Antonio’s charreada celebrates breathtaking feats of equestrian skill, pageantry straight from the hacienda, dashing charros in handsome outfits (putting Anglo cowboys to sartorial shame) and dazzling young women executing the highly disciplined and graceful Escaramuza (skirmish). 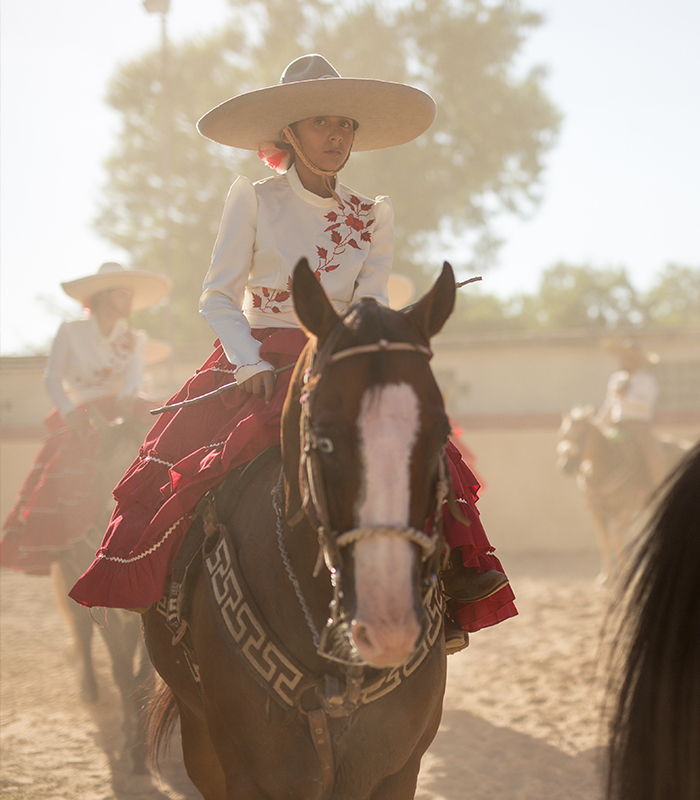 This intricately choreographed equestrian showpiece is performed by charras riding sidesaddle and wearing the flounced dresses called “Adelitas” after the heroine in a famous corrido (ballad) of the Mexican Revolution (1910-1920). 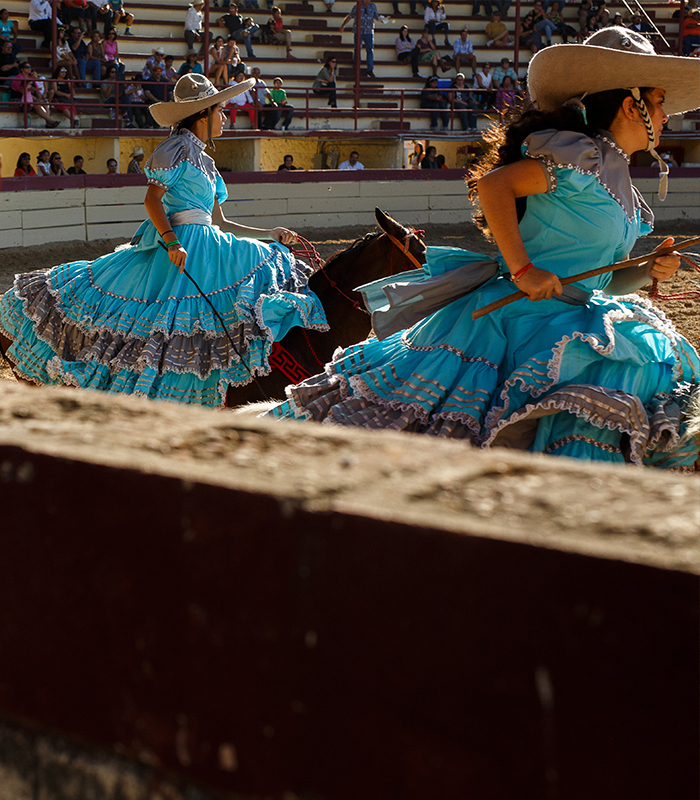 For color, excitement, romance and a glimpse into the soul of Mexico, mount up for this year’s Day in Old Mexico Charreada on April 23 and April 30. It’s held at the Asociación’s arena about 15 minutes south of Hotel Emma, at 6126 Padre Dr, between the San Antonio River and Mission San Jose. The action starts at 3:00, but go early to get a parking place. Lot opens at 1pm, show at 3pm. 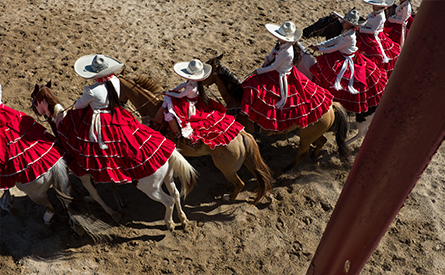 Coincidentally, charreada or charrería was added to UNESCO’s Representative List of Intangible Cultural Heritage of Humanity in 2016, one year after San Antonio’s five Spanish Colonial missions were granted World Heritage Site status by UNESCO.